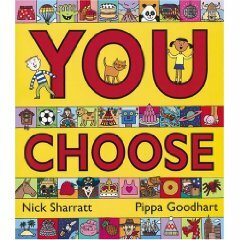 You Choose, illustrated by Nick Sharratt, was winner of Mumsnet’s Best Book of the Year for Three to Four Year Olds. 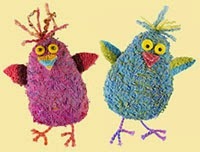 It has been picked again and again by Bookstart as one of their books to give three-year-olds, and has now sold over a million copies. 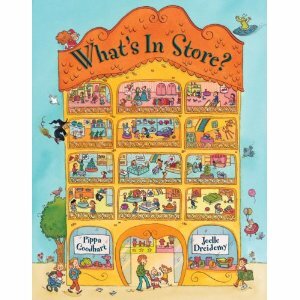 What’s In Store?, illustrated by Joelle Dreidemy is a very busy book with multiple stories and characters to find in the pictures. 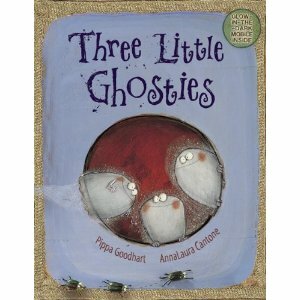 Three Little Ghosties, illustrated by AnnaLaura Cantone, is a rhythmical funny story of ghosties who want to frighten everyone, but prove not to be very brave themselves! Under the name of Laura Owen, I write the Winnie The Witch storybooks, which, whilst not being large-format picture books, are very much books in which Korky Paul’s pictures show almost as much story as I tell. I enjoy different kinds of writing, but I do feel that writing picture books is my greatest writing treat of all because it gives a chance to play with image and design as well as words, and of course an opportunity to work with some wonderful artists. As well as writing, I do lots of school visits, I teach a Writing for Children module at De Montfort University, and I write reports on picture book stories submitted to the Writers’ Workshop consultancy. I’m also helping my architect husband to build us a house, walk the dog, and care for three lovely daughters!